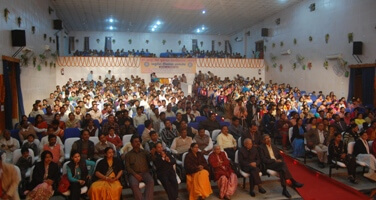 The university believes in all round development of its students. Catering to this need, an auditorium with a capacity of 1000 provides the students a platform to unmask their hidden talents. It is fully air conditioned with wooden work on the stage lot of space in front. The auditorium has separate rooms and other basic facilities for conducting special programmes like convocation, national and international level conferences, and many other academic and cultural events.